A more fun representative of my "Ireland in BW" section. 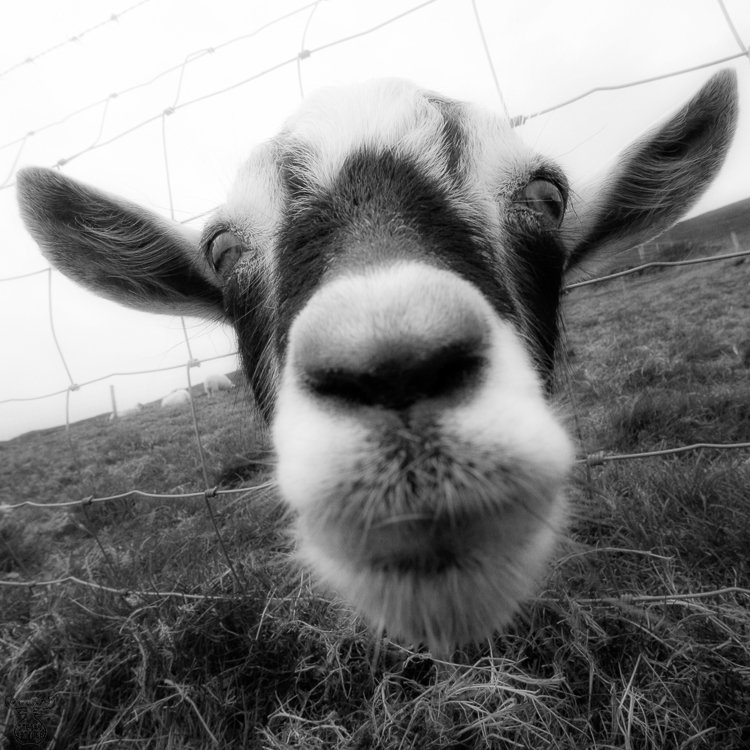 This goat, inhabitant of the Irish Famine Visitor Center on the Dingle Penisbula, was one of the more curious copies of the species sticking it's head through the fence - a 10mm wideangle lens did the rest .. Some flowers gave the salary after posing that nicely.